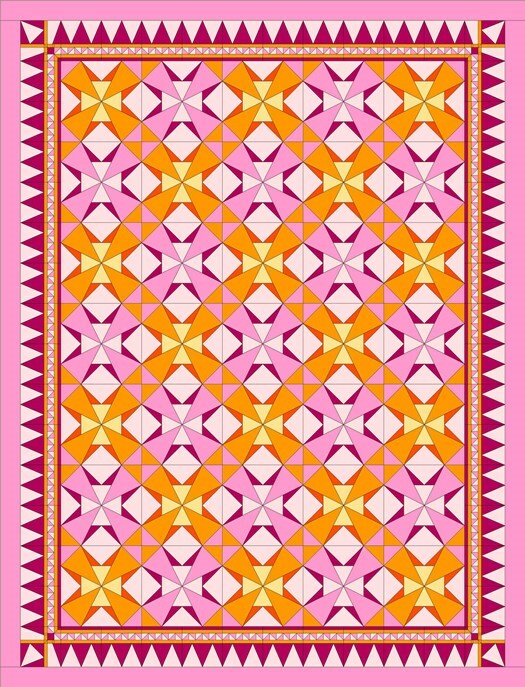 The Star Appeal quilt has a really fun border, but I wonder what another border might look like. 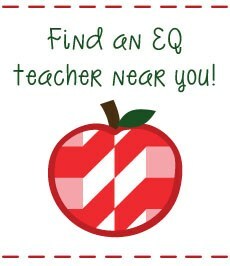 Using EQ7 we can play with lots of different ideas and we can do it quickly! One of the great new features about EQ7 is the Set Auto Borders. The program already comes with pre-designed borders that you just set into your quilt. You can even edit them if you want. Let’s take a look at how easy and fun the Set Auto Borders tool can be. Step 1: While on Layer 1 of your EQ7 project, click the Set Auto Borders button. If you do not see this button on your toolbar you need to add it. Click the black arrow at the bottom of your toolbar and choose Add/Remove Buttons . Click the Set Auto Border button to add it to your toolbar. Step 2: Click the Set Auto Borders tool . The Auto Borders palette will appear. Step 3: Click the drop-down menu to display different border categories. Spend some time going through all the different options. 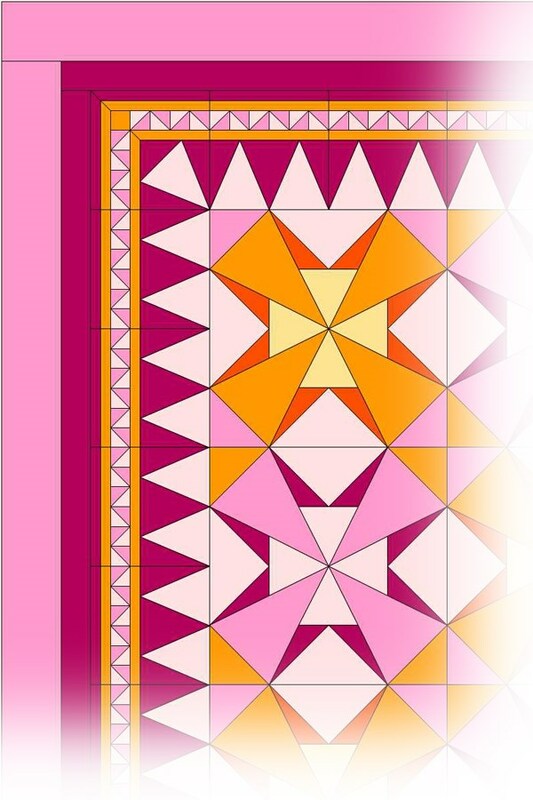 For this quilt, we’ll explore some options in the Miscellaneous section which has lots of borders with spikes and diamonds. 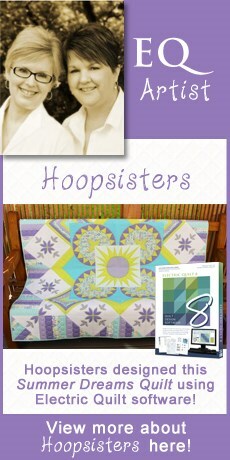 These will look nice with the Star Appeal quilt. 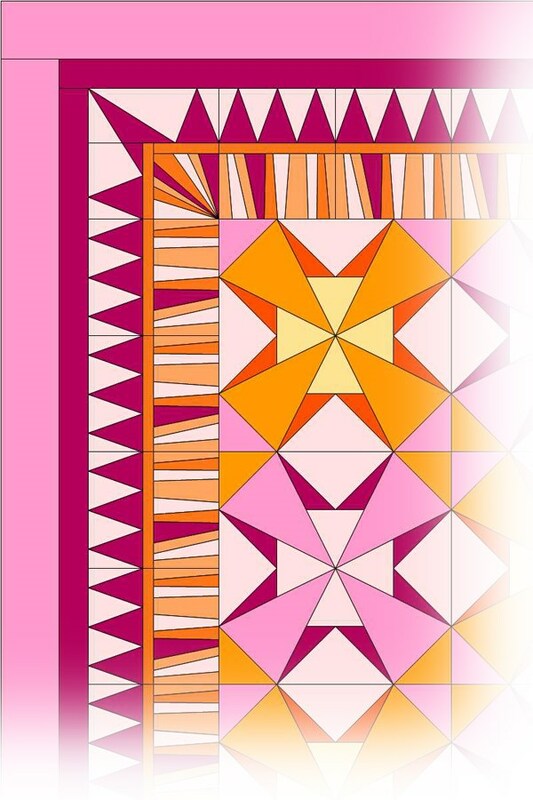 Step 4: Click the Striped Grooves border, then hold down the CTRL key and click inside the border of the Star Appeal quilt to watch all sides of the border change. Step 5: Now you’ll want to color the border. Click the Eyedropper tool . 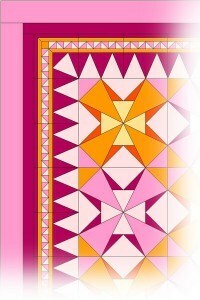 Now click on a color in your quilt that you’d like to use in the new border. Once you click that color your cursor automatically changes to the Paintbrush but we want to use the Swap All Colors tool. Step 6: So click on the Swap All Colors tool . Now click on a color in the border and you’ll see that all the patches of that color are now changed to your new color. Easy huh!? Do this for the remainder of the colors in your border. When you are finished, click Add to Sketchbook to save that version. Don’t forget to save your project from time to time as well by clicking the Save button. Try experimenting with other borders. 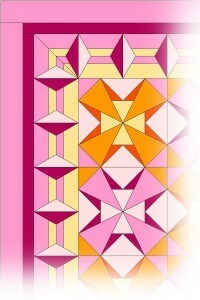 Below, you will see we used Staccato and Handkerchief to nicely compliment the Star Appeal quilt design. EQ7 tools make it super easy to then edit these auto borders. 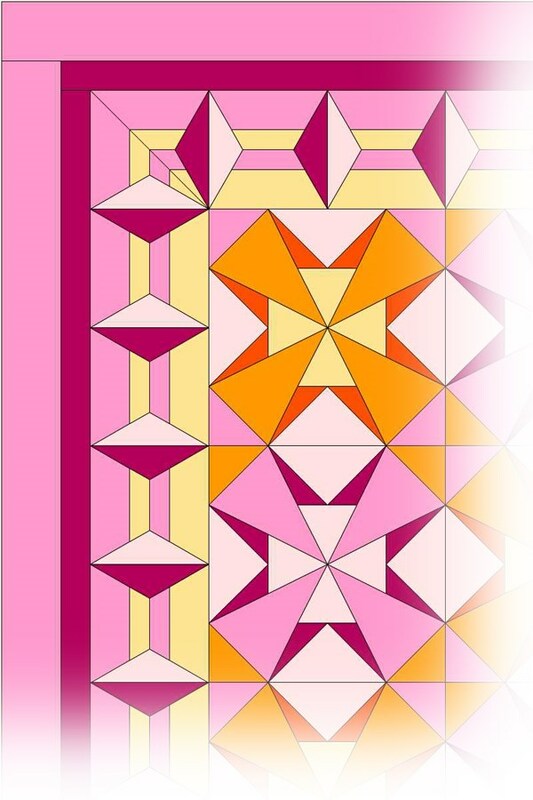 Use the Rotate Block and Flip Block tools to change the direction of the blocks in the border. You can even edit the border blocks on the Block Worktable to add more detail or make the block simpler. In the image below, we flipped the Handkerchief auto border so that the points face out and the mosaic strip is closest to the quilt. We also edited the corner blocks to match. We really like this new version and it was simple with EQ7!